Last Voyage is the previous game by Nightgate creators Semidome. Like Nightgate, it offers a selection of beautifully bizarre abstract and minimalist puzzles, along with some non-puzzle flying sequences. Last Voyage approaches things a bit differently though, with each chapter being made of entirely different sets of mini-games, and with a noticeably heavier emphasis on the abstract part. Just press that red bit over there. 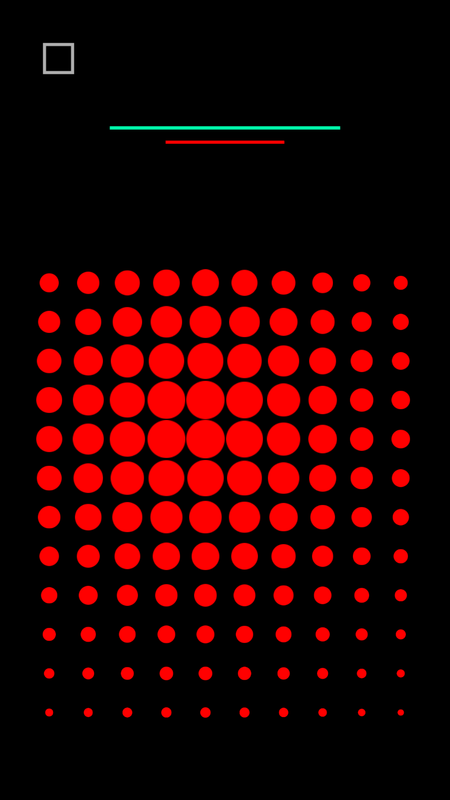 One set of puzzles require you to move pieces around to form various shapes, while another is a showcase of strange touchscreen sensory puzzles where you have to do things like trace your finger around a field, looking for the right spot to make a red bar fill up to the right length (seen above). 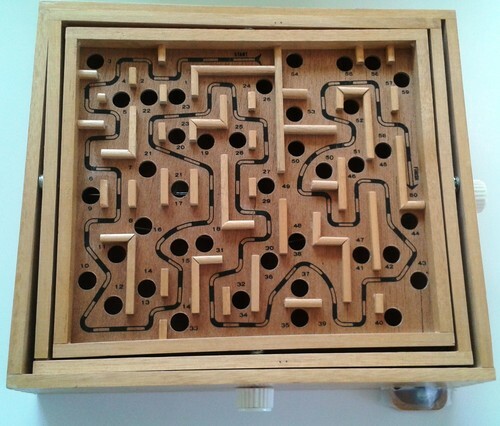 Another set makes use of your phone’s motion sensors to have you guide a little ball through some treacherous mazes like those old Labyrinth games (anyone remember those? ).